All animals. All the time. We just can't get enough of these mixed-species buddy stories. This one features a hound dog and a swimming orangutan! The wild Bactrian camel (Camelus ferus) is critically endangered; with a world population of less than 1000 they are among the world’s rarest mammals. They are the ancestor off all domestic camels. These unique creatures are adapted to arid plains and hills where water sources are few and vegetation is sparse. Herds of these wild camels move widely, their distribution being linked to water. Shrubs constitute their main source of food. The areas in China and Mongolia where these wild camels live is extremely harsh. A nearly lifeless land, its temperature may reach 60-70 degrees C (140-160 degrees F) in summer and -30 degrees C (-22 degrees F) in winter. 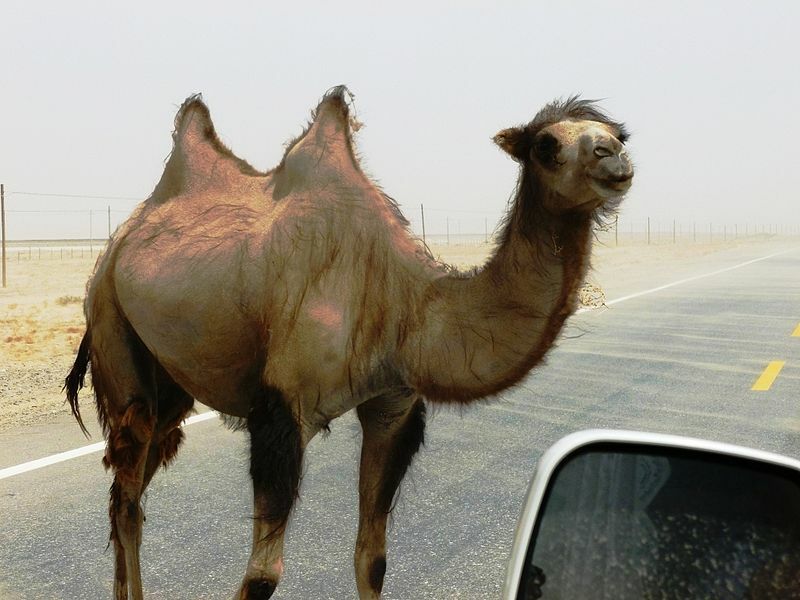 All aspects of the camel have adapted to these extreme conditions. Wild and domestic Bactrian camels readily interbreed, but physically they are quite different. The domestic Bactrian camel is quite common in Asia. And, contrary to popular legend, there is no evidence that camels store water in their stomach or in their hump. This entry was posted in Animal Facts, Animal Pix and tagged Animal Bytes, Animal Picture of the Day, Camels, Wild Animals by animalpages.Bookmark the permalink.